Jelly Defense Is A Popular Paid Arcade Category Game On Android. Its Lite Version “Jelly Defense Lite” Is Now Available For Free On Google Play Store. In Jelly Defense, You Have To Protect Your Treasury Which Is Crystals From Bad Jellies. You Place Tower On The Way To Kill Jellies Before They Steal Your Treasure. There Are Different Types Of Jellies Which Try To Steal Your Crystals Like Blue Jelly Is Faster Than Red Jelly. There Are Some Special Towers To Stop Specific Jelly. For Example – To Stop Blue Jellies You Need To Place Blue Tower. Upgrade Towers, Collect Coins To Place More Towers Which Make Easy For You To Prevent Treasury. 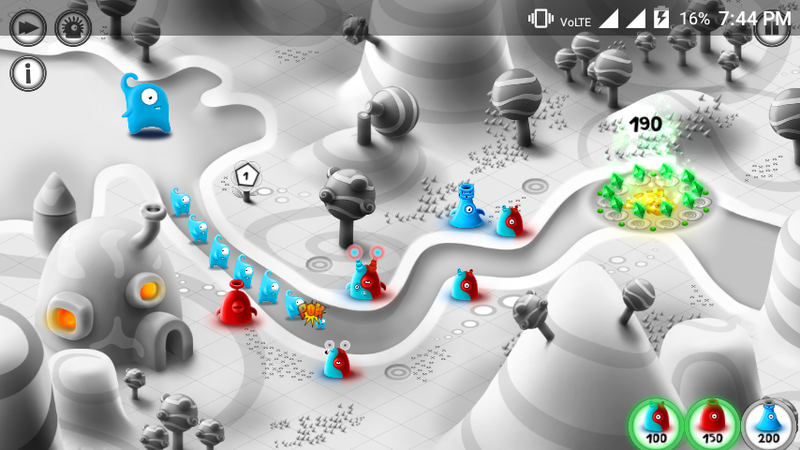 The Game Reminds Me Plants Vs Zombies In Which You Place Plants To Kill Zombies, Collect Suns To Plant More Defense. Jelly Defense Is Also Similar To This, You Get Coins When Towers Kill Jellies. Collect Them To Add More Towers To The Way. At The Begining, Game Offers You A Complete Tutorial About Basic Of The Game. The Goal Is To Destroy All Jellies And Prevent Treasury. Your Job Is To Collect Coins, Place Right Tower On Right Place. Upgrade Towers To Make Defense More Strong. The Game Has A Lots Of Fun And You Should Play. 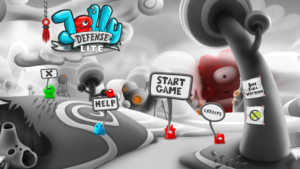 Jelly Defense Is A Lite Version, You Can Buy Full Version Which Has A Price Tag Of Almost $3. Lite Version Is Completely Free And Has No Ads. Download Jelly Defense Lite From Google Play Store, Or Jelly Defense From Google Play Store.